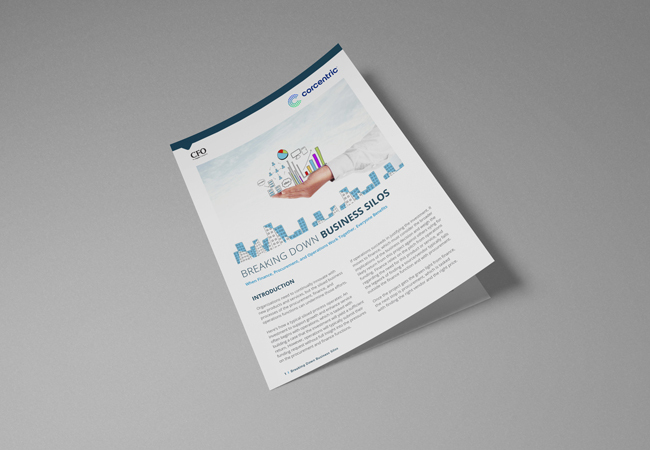 Businesses are increasingly transitioning their AP departments to cloud-based payables automation solutions. Download this comprehensive report to discover why. Business transformation starts with the finance function. 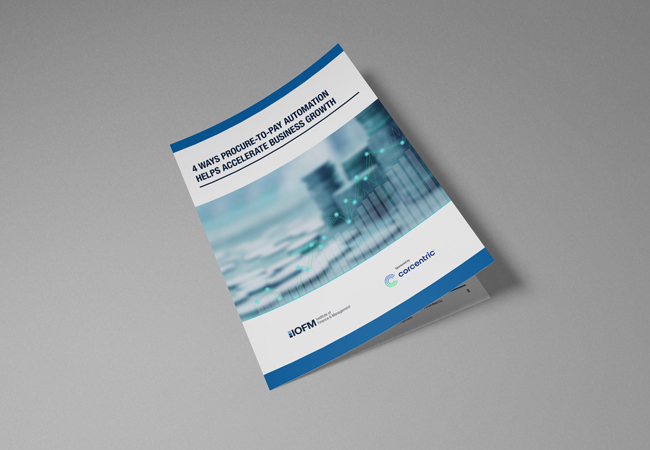 Download the IOFM white paper to discover how P2P automation accelerates business growth. Transform your AP department today. 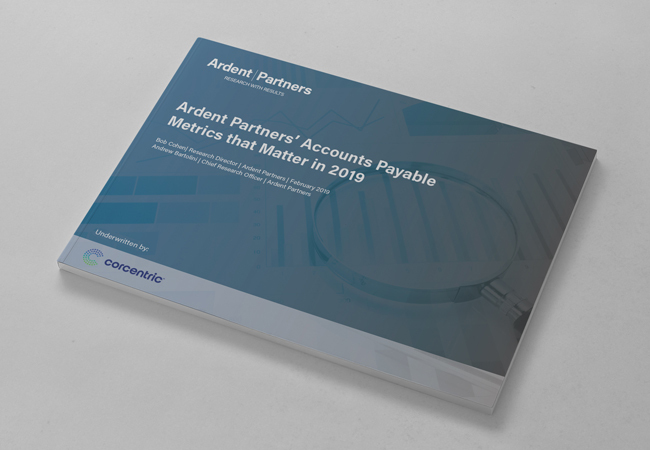 Download Ardent Partners’ Accounts Payable Metrics that Matter. 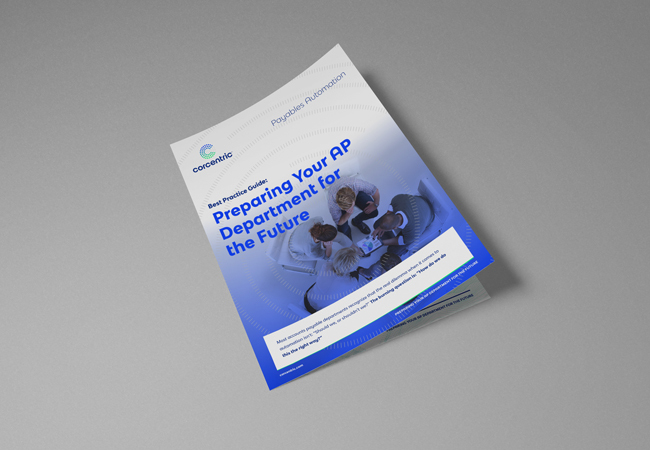 What steps should you take to move your AP team into the future. 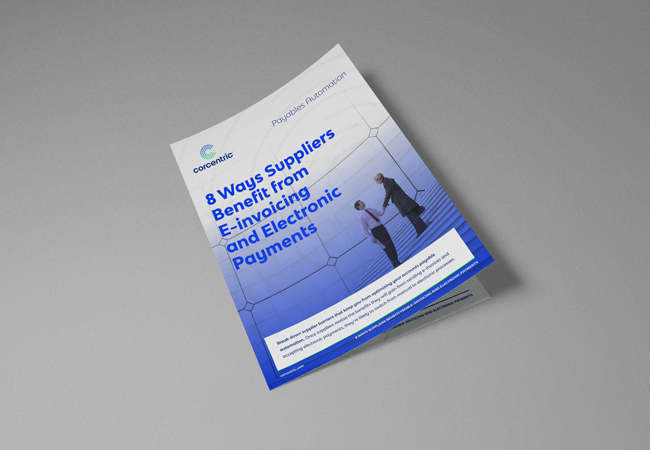 Find the 8 benefits that your suppliers will get when they switch to e-invoicing and electronic payments. 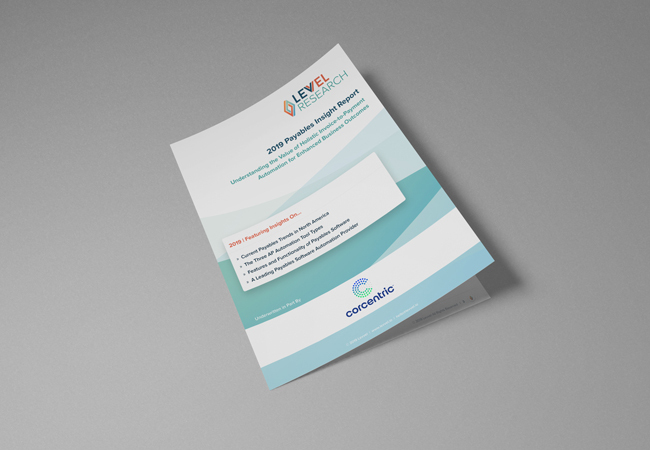 Download the guide. 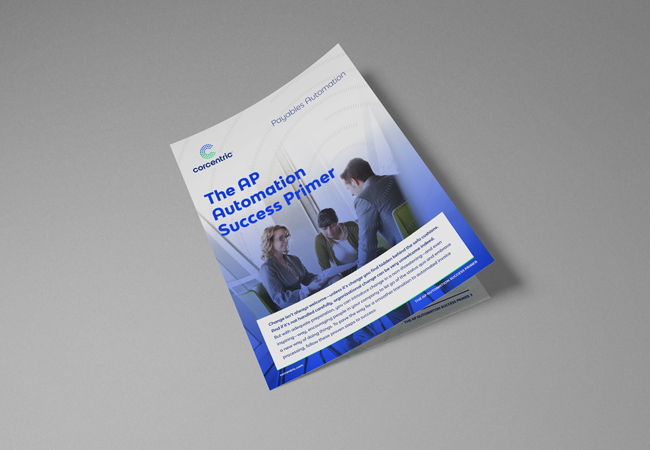 If your organization wants to attract and retain top talent for it’s accounts payable department, download this white paper today. 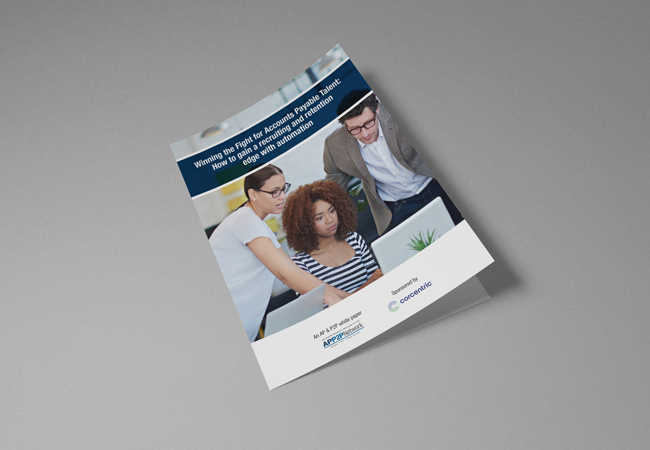 Read our guide to learn what it takes to become a more automated accounts payable team. 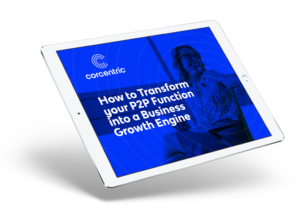 From defining goals to involving stakeholders, Corcentric can help. 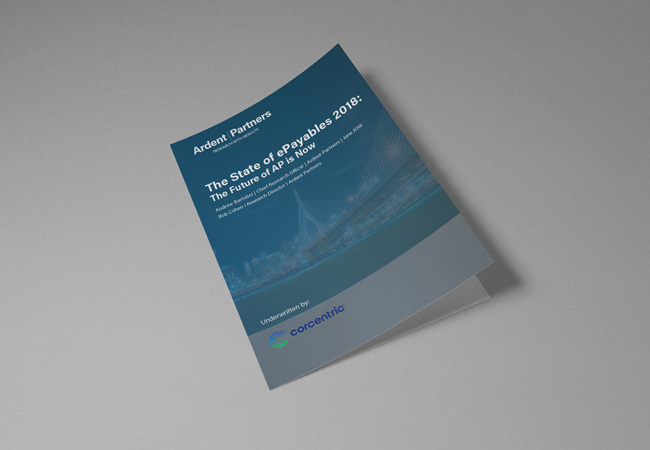 Download Ardent Partners’ “The State of ePayables 2018: The Future of AP is Now” to gain access to the strategies used to succeed in the areas of P2P, cash management and invoice and payment processing.